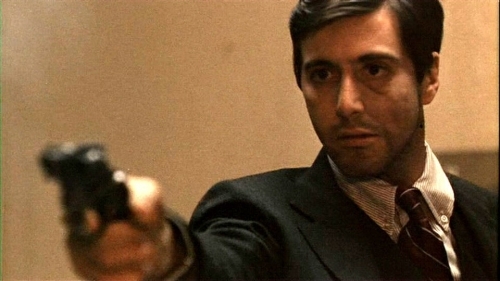 “The Godfather” is back on the big screen this Thursday night for Consolidated Theatres Oscars Classics series at Ward. I have. So much. To write about. I can practically phone this column in. What can I say about “The Godfather” that hasn’t already been said? Okay, that works but appropriating other people’s quotes seems a little lazy. Coppola sports his hipster beard. What about this: I’ll do “The Godfather for Millennials,” and write about why the next generation of multitasking, mustache-sporting hipsters need to see this rich, epic drama on the big screen. I can talk about how director Francis Ford Coppola had the spirit of a Millennial. He was all about freedom and product over process. He even moved to San Francisco and founded American Zoetrope with his buddy George Lucas to do things differently from Hollywood. Not to mention, he likes wine. Oh, wait. I already used that angle for last year’s Oscars Classics Series film, “The Bridge Over the River Kwai.” Plus, there are only so many artisanal cheese-making jokes a guy can make. 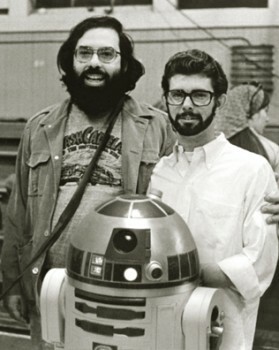 Or I can talk about the myriad impossible studio obstacles Coppola faced to make the film. Or the astonishing fact that Al Pacino and Diane Keaton were relative unknowns when they were cast. Or how the film’s success hinged on the authenticity that Coppola brought as an Italian American making a very specific movie about Italian Americans. Or how “The Godfather” is a family film. Or the film’s parallels with Greek and Shakespearean tragedy. Or how the movie is a metaphor for capitalism. Or a whole column about the brilliant pasta-cooking lesson by Clemenza. Do I really need to convince you to see one of the greatest and most influential films ever? 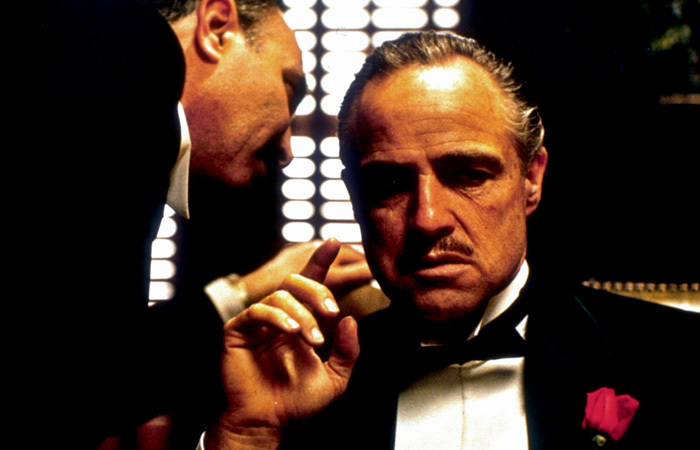 “The Godfather” screens on Thursday, Feb. 19 at 7 p.m. at Ward Consolidated Theatres as part of its Oscar Classics Series. “Gone With the Wind” screens on Thursday, Feb. 26 also at 7 p.m..
• Producer Robert Evans originally wanted Robert Redford to play Michael Corleone. • The only non-Italian headlining cast members in the film were Robert Duvall, James Caan and Marlon Brando. • Talia Shire (Connie Corleone) is Francis Ford Coppola’s sister. • Three weeks into shooting there was talk of firing Coppola. Elia Kazan (“On the Waterfront”) was suggested to replace him. 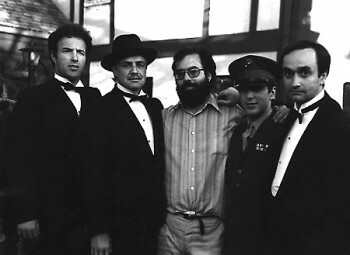 Coppola’s cut of the Michael, Sollozzo, Captain McCluskey scene literally saved his job. • Mario Puzo’s “The Godfather” novel spent 67 weeks on The New York Times bestseller list. • In 1972, “The Godfather” was the highest grossing film of all time (“Jaws” topped it in 1975).